The world is currently in the process of the largest and most important monetary experiment ever created. After the financial collapse of 2008, consumers around the world were unable to borrow further to keep the debt super cycle bubble expanding. Governments then stepped in and have taken their place, leveraging up their balance sheets around the world. Many governments have already passed the point of no return that consumers reached in 2008 meaning there is no possible way the debt borrowed can ever possibly be paid back. 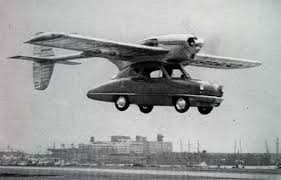 The have already run the car over the cliff, but those driving in the car (who have not taken the time to look down) have not noticed any change. Why? Central banks have provided an unprecedented artificial force to keep it afloat and moving forward. The most recent chapter in this saga came this week from the Bank of Japan. They announced a new program that (up until this point) is the greatest monetary expansion in history based on its size. They will inject $1.4 trillion of paper currency into their economy over the next two years, which will double their monetary base. They are extending the maturity of their purchases out to 40 years and they are increasing their purchases of ETFs and REITS. In easy to understand terms: they are buying all financial assets with printed money. 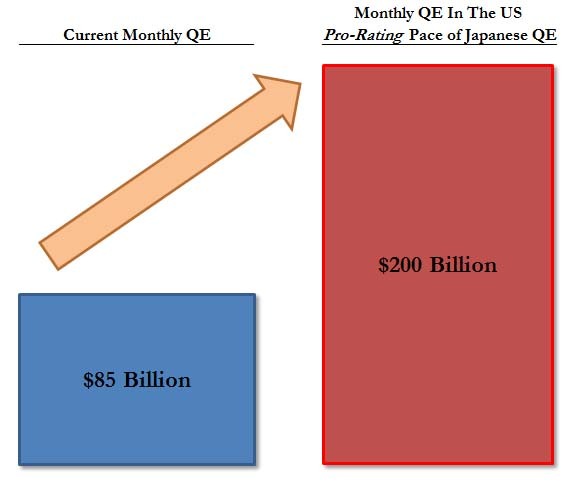 Some may note that with the Federal Reserve currently monetizing $85 billion per month that the United States actually has a larger QE program in dollar size. This is true, but you need to look at these programs in relation to the size of the economy within that country. This is not to diminish the size of the Federal Reserve's current QE, which is both ridiculously large and a complete disaster in the making. The goal is to show just how much these leaders have lost their collective understanding of reality. They now truly believe that their are no consequences for their actions and that additional QE only means additional economic benefits. When Japan's central bank governor, Haruhiko Kuroda, strode into the press conference this week he had a large smile on his face. It will like an athlete coming out of the locker room after winning the championship to talk to the press. A program like this should be put into place only under the most dire of circumstances and financial crisis, and the person making this decision should have a look of regret. Now it is done casually on an average week day, like walking down to the mail box for the morning news.